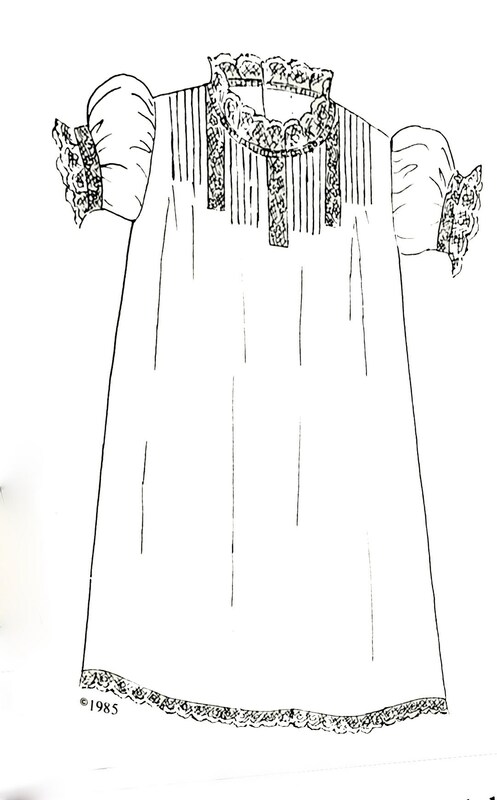 Illustrations and instructions for 10 unique daygown designs plus guidelines for creating your own daygown designs. 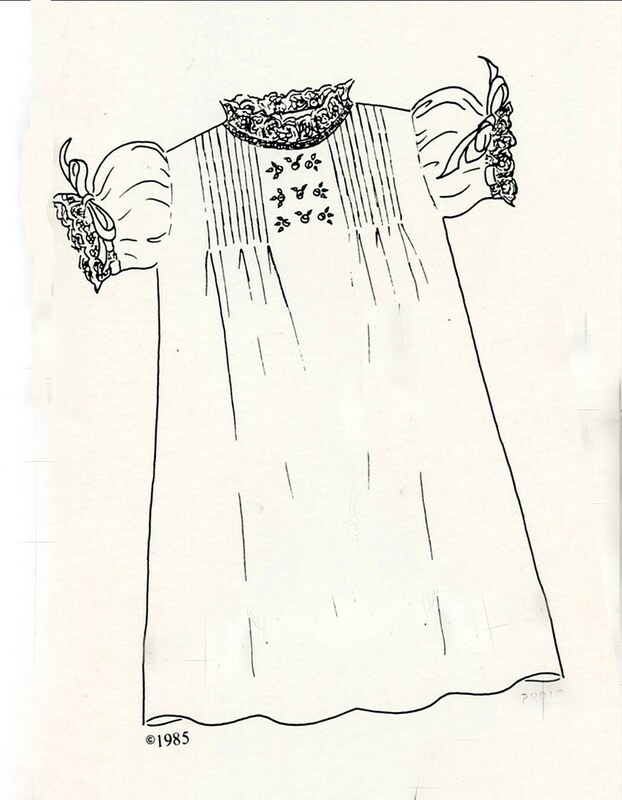 Detailed instructions with 88 illustrations and 18 photographs. 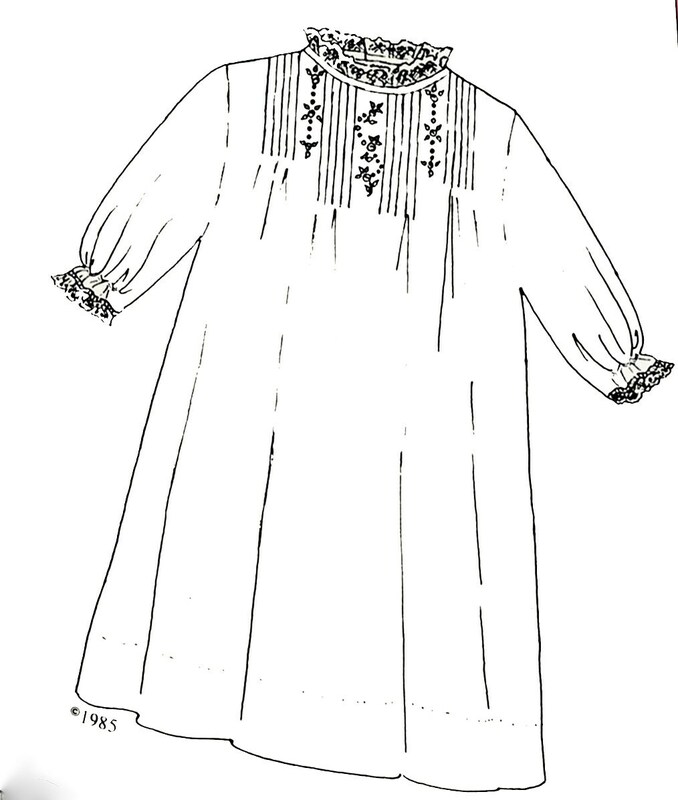 Easy machine sewing techniques with illustrations and instructions for neckline, sleeve, and hemline variations. 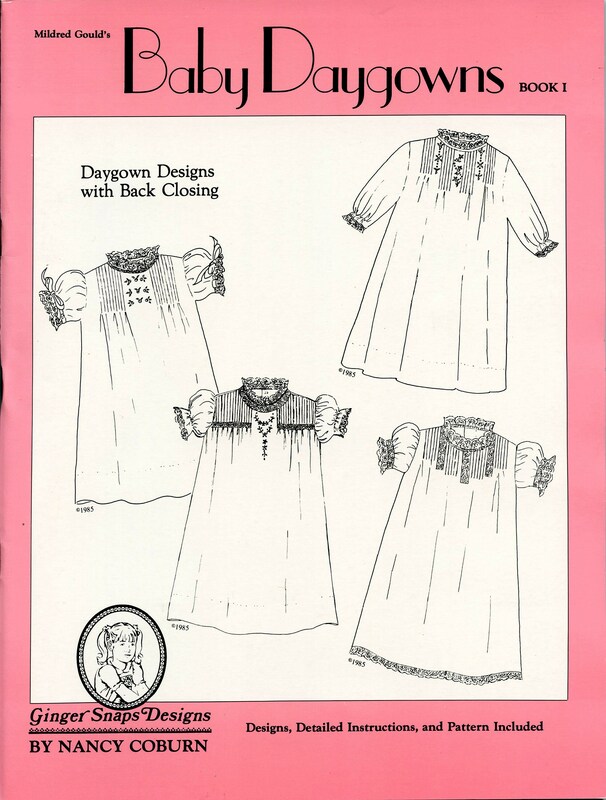 Detailed information about using TUCKS and LACE INSERTION on daygowns. 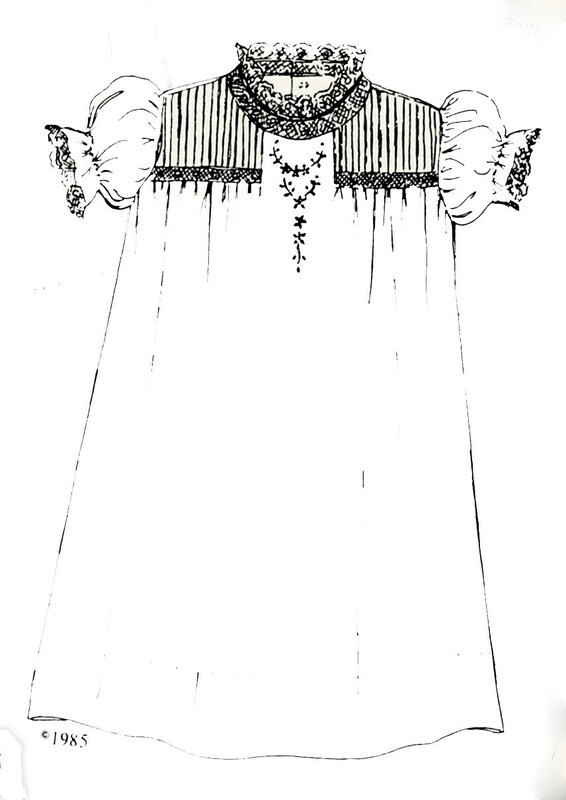 Basic French handsewing by machine techniques.